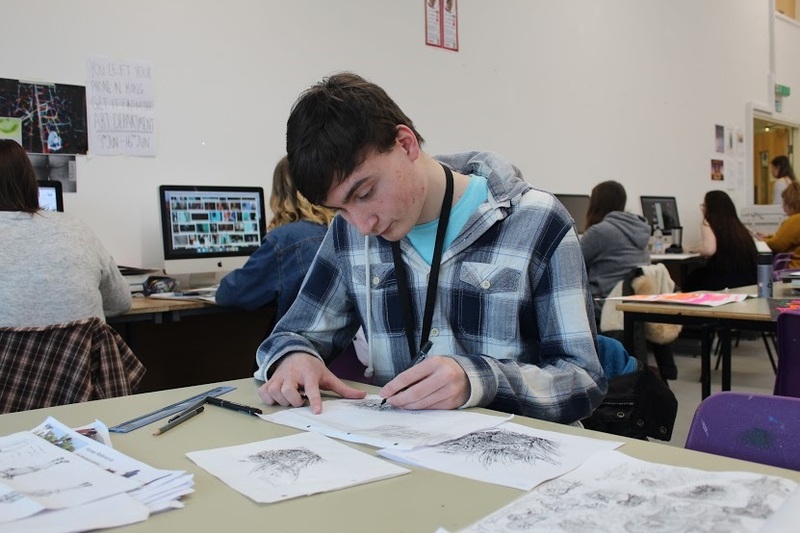 Jonathan Raiseborough, a former Art Foundation student at QE has appeared on popular ITV programme, This Time Next Year, to share his story of becoming a professional illustrator. Jonathan, who was diagnosed with Asperger’s Syndrome and Obsessive Compulsive Disorder as a child, opened his segment by explaining to host, Davina McCall, how he hoped to provide the illustrations for children’s book, Snowdrop The Spikeshuffler, written by author, Peter Barron. The show then explored Jonathan’s year long journey as he juggled illustrating with his studies at Teesside University before he reappeared with the published book, complete with his artwork. Jonathan is now an ambassador for the North East Autism Society with Snowdrop having been adopted as the mascot for the organisation. Together they travel to schools across the North East educating children about autism and promoting understanding. Jonathan’s time on the show coincides with Darlington launching a campaign to become an autism friendly town, in partnership with the North East Autism Society. Looking back upon the past 12 months, Jonathan explains: ‘Having the opportunity to illustrate Snowdrop the Spikeshuffler has been a life-changing experience and being on national television was an amazing bonus. Having a voice for people with autism and showing others that what can make somebody different, can also be a positive thing, is incredible’. Joy Colthup, Co-ordinator of Study Skills and Support at QESFC who worked with Jonathan during his time at College, adds: ‘The progress that Jonathan has made over the last few years is wonderful. He spoke so eloquently and confidently on the show, he is a real ambassador for autistic students’.